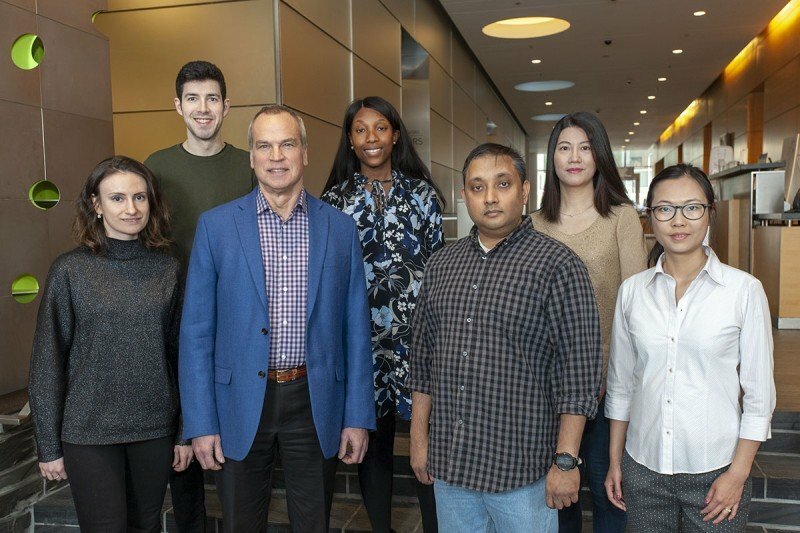 The Gene Editing & Screening Core Facility (GES Core, known as the RNAi Core Facility from 2013 to 2017) provides MSKCC investigators with two RNA-guided technologies, RNA Interference (RNAi) and Clustered Regularly Interspaced Short Palindromic Repeats (CRISPR), to study individual genes, dissect signaling pathways, and identify potential drug targets. The GES Core provides the investigators with individual clone and pooled library of shRNA (RNAi) and sgRNA (CRISPR). The GES Core also conducts pooled library screening of shRNA and sgRNA by next generation sequencing, cell line production with gene knock-in and knock-out, and arrayed library screening of a human full-genome siRNA and various compound libraries in microtiter plate format. RNA polymerase II-transcribed miR-E shRNA with high potency and specificity designed with the SpalshRNA algorithm. Options including transduction (lentiviral or retroviral), expression (constitutive or inducible), fluorescence reporter (GFP, dsRED etc), and selection marker (puromycin, hygromycin etc). Various target-focused pooled libraries including human and mouse druggable genome, epigenome, and kinome. Additional services including virus packaging and transduction. Options including fluorescence reporter (GFP, dsRED etc), and selection marker (puromycin, hygromycin etc). Full-genome libraries including GeCKO v1 (human), GeCKO v2 (human and mouse), Brie (mouse), Brunello (human), and SAM (human). Assay development including transduction optimization. Screening execution, genomic DNA extraction, and PCR for next generation sequencing. Human full-genome siRNA library (siGenome, Dharmacon). Bioactives and FDA-approved drug libraries, target focused inhibitor libraries against kinase and GPCR, and diversity libraries. Assay development and semi-automated screening in 384-well plate density format. Cell viability assay and biochemical assay with EnSpire multimode plate reader (PerkinElmer). High content cell imaging assay with IN Cell Analyzer 6000 laser-based confocal imaging platform (GE Healthcare) and Columbus image analysis system (PerkinElmer). 2. Konermann et al., “Genome scale transcriptional activation by an engineered CRISPR-Cas9 complex” Nature 2015, 517:583-588. 3. Doench et al., “Optimized shRNA design to maximize activity and minimize off-target effects of CRISPR-Cas9” Nat Biotechnol 2016, 34:184-191. 4. Sanjana et al., “Improved vectors and genome-wide libraries for CRISPR screening” Nature Methods 2014, 11:783-784. 5. Shalem et al., “Genome-scale CRISPR-Cas9 knockout screening in human cells” Science 2014, 343:84-87.